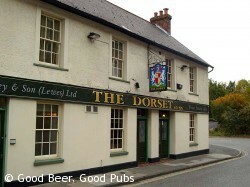 The Dorset (sometimes known as The Dorset Arms) is a large Harveys pub and hotel in the Cliffe area of Lewes – so slightly away from the central area. The older area at the Malling Street entrance of the pub has two distinct area. 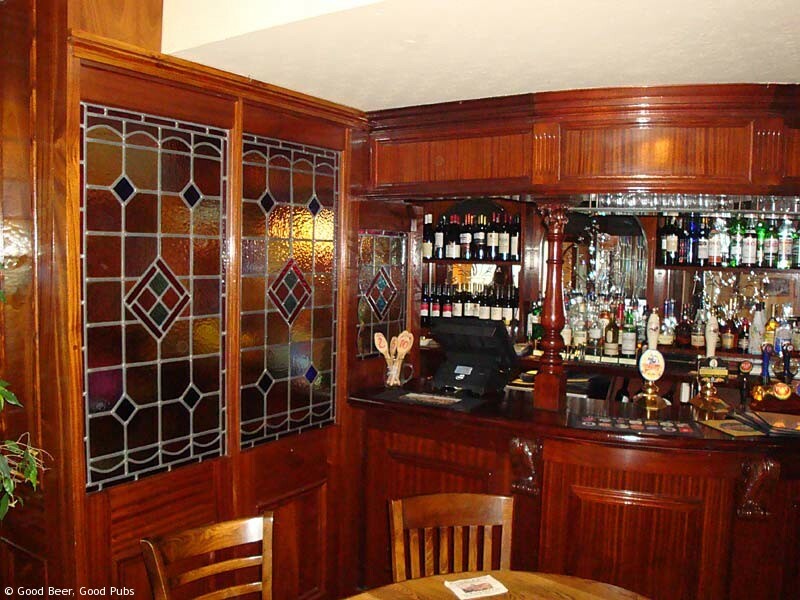 There is a small snug bar on the right and a more open area on the left which opens out behind the bar into a larger and newer area. 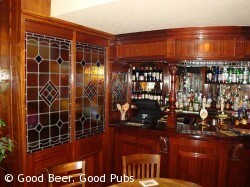 The older two areas are separated by an attractive wooden screen with coloured glazing. Harveys Best is available all the time plus a couple of other beers from the Harveys selection including the monthly seasonal. Considering the Dorset’s proximity to the Harveys Brewery the beer quality was a little disappointing. Food is available at lunchtimes and evenings but I have not eaten here – apart from the very reasonably priced peanuts. On my last visit during an evening pub crawl of Lewes I was practically the only customer in the Dorset. I’m sure with all that space it must get busier at certain times. Disappointed at not being served on boxing day due to a bar on vegans and vegetarians. Wont be using this pub again, ever.